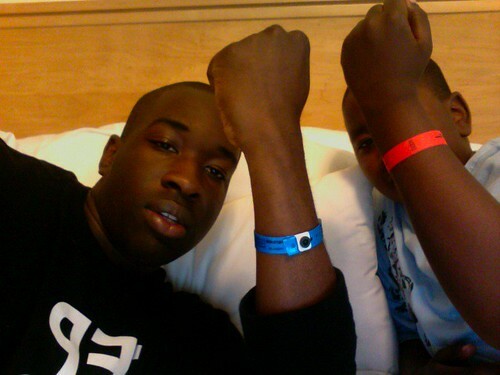 Upon check-in the hotel’s front desk everyone these mighty-morphin-wristbands. My parents both got a gold one, my brother got a red one, and my sister and I both got blue ones. I’m not sure what the colors represent, but I’ve noticed that every single good-looking person in the hotel had a BLUE band….HINT, HINT!